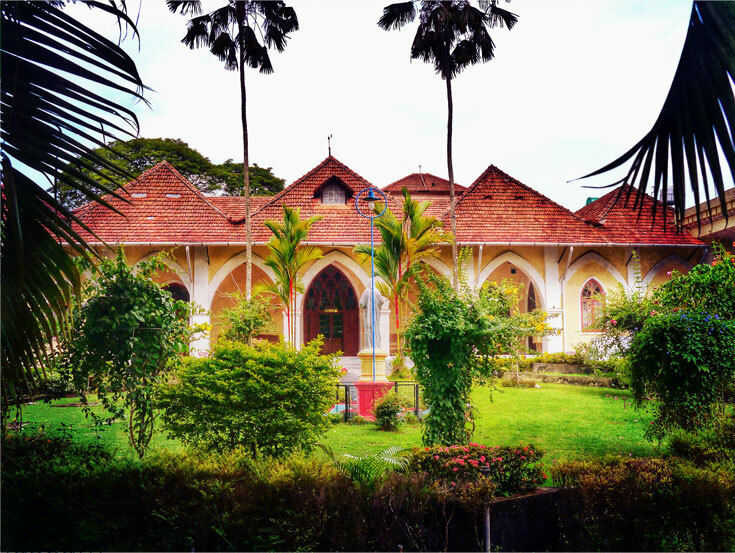 The Indo Portuguese museum is located in Fort Kochi. This museum is an example of the influence of Portuguese in this area. It was set up with the efforts of late Dr. Joseph Kureethra who was the Bishop of Kochi with the aim of preserving the valuable collections. By visiting this museum one can understand the Indo-Portuguese Christian Art heritage that remains today. The Indo Portuguese museum has 5 sections namely the Altar, Treasure, Procession, Civil Life and Cathedral. Some of the articles kept for display are a piece of altar from the Church of Our Lady of Hope which is made of teak wood, a chasuble from the Bishop’s house, procession cross made of silver and wood from Santa Cruz cathedral and the Indo-Portuguese Monstrance from The Church of Our Lady of Hope. Various sculptures, metal articles etc were contributed to this museum by the Calouste Gulbenkian Foundation.